Hydro-Quebéc (HQ) is a public utility that manages the generation, transmission and distribution of electricity in Quebec, Canada, but it finds itself in a position of generating more power than its customers need. In an article from Le Journal de Québec, Éric Martel, president and CEO of HQ, relates how HQ is facing a death spiral for electricity consumption. Power consumption by customers in the province has been stagnating since 2007, as customers are adding more and more solar panels. At the same time, HQ has been building more dams and transformers and running more lines. As HQ builds more capacity and prices rise, its customers are turning to self-serving renewables, which reduce their dependence on HQ even further. HQ already provides electricity at extremely low rates compared to companies like Southern California Edison (SCE), for example, where prices have recently been announced as a fixed rate of $0.0319 ($0.0394 CAD) per kWh for crypto miners, compared to its general, tiered rates of $0.17 to $0.35. As Quebecers consume less electricity, Martel is looking to find more creative ways to attract high-energy users, like Facebook, Amazon and Microsoft. HQ is currently selling 450 MWh to computer server companies. In four years the goal is to sell 6 TWh in general and another 5 TWh for crypto mining, the equivalent of nearly two million American homes. Francis Pouliot of the Satoshi Portal in Montreal tweeted that HQ is looking to attract enough Bitcoin miners to consume 5,000 MWh of electricity, the equivalent of four million Bitmain S9 mining servers. Between the cheap electricity and cool climate that would make temperature maintenance even less expensive, it is looking like an attractive option, but it does raise some questions. HQ cannot simply add mining to their own business model because there are specific legal mandates that prescribe what they are allowed to do as an entity. And what about taxes? Canada has a relatively high tax rate for individuals, from 15 to 35 percent. Its corporate tax rate was comparable to the U.S. before the recently enacted U.S. tax reforms, ranging from 28 to 33 percent, thus making it important to look at the entire financial picture if considering a move to Quebec for power. He said that there are already initiatives in the works for strategic partnerships with farmers to make use of waste heat generated by mining to heat their greenhouses. These partnerships may see results as early as next winter. “Montreal is going to become a hub for experimentation in the recycling of waste heat,” he added. 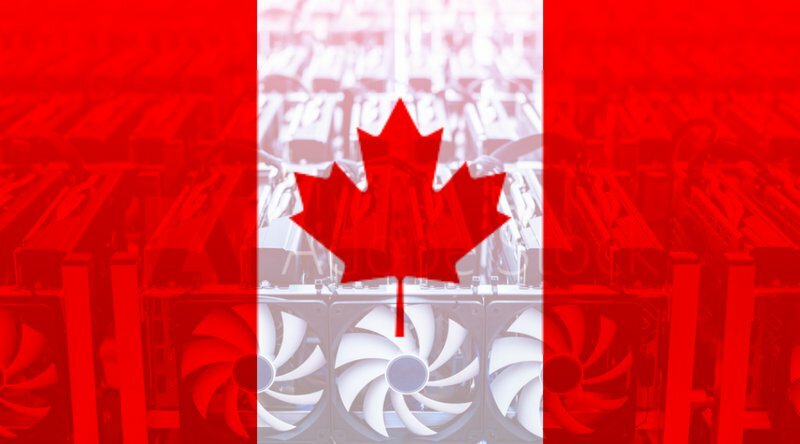 Canada has already become an attractive option for some companies, as seen by the recent announcement from Hut8 and Bitfury. This could also be a solution for many companies in China that the government seems to be pushing to shut down. HQ appears to be making some forward-looking steps to address this very unusual problem.